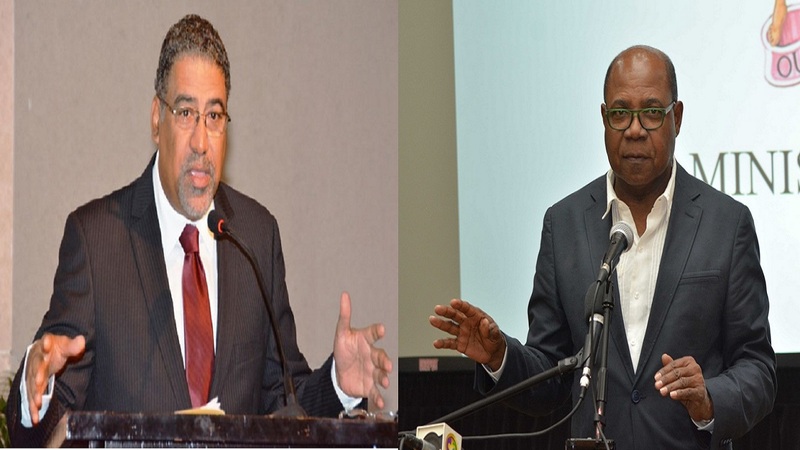 Tourism Minister Edmund Bartlett (left) and Dr Opposition Spokesman on Tourism, Dr Wykeham McNeill (left). Jamaica tourism numbers for the first quarter of the year have hit new records, according to Tourism Minister Edmund Bartlett. “Total stopover and cruise passenger arrivals, stood at approximately 1.3 million for the first quarter of 2018 (January to March), that is over 80,000 more tourists than the corresponding period last year or 6.6 per cent. Provisional data shows that the month of March also recorded an 11.3 per cent increase in stopover arrivals over the same month last year, the tourism ministry said in a release. 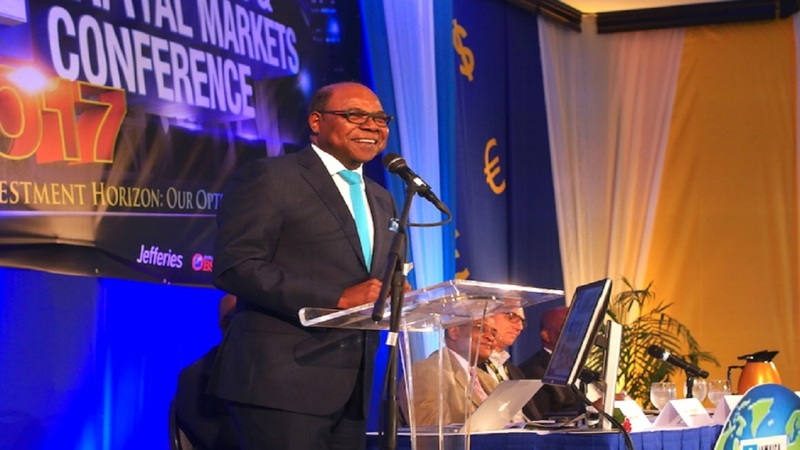 Of note also is that for the period, gross estimated Foreign Exchange Earnings stood at US$821.2 million , representing an increase of 8 per cent.”, said Tourism Minister, Edmund Bartlett. Opposition Spokesman on Tourism, Dr Wykeham McNeill had earlier expressed concerns about what he says is a declining rate of growth in stopover arrivals. 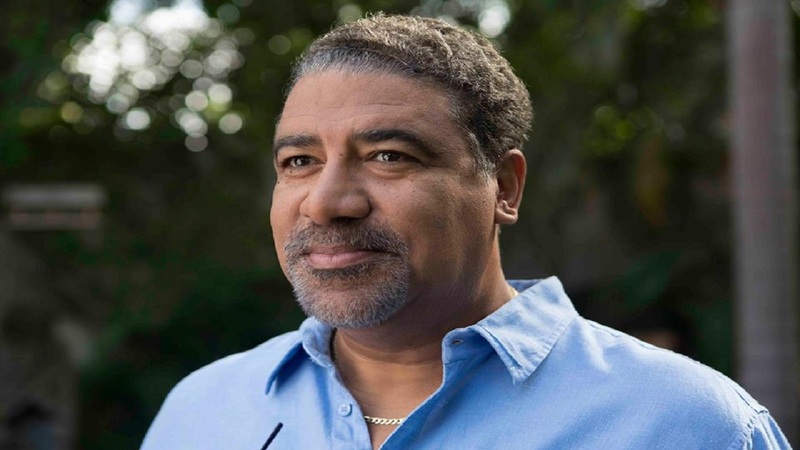 He called on Bartlett to update the country on the “real” state of affairs in the industry. According to McNeill, the growth rate in stopover arrivals started to decline in December and has dipped significantly since the state of public emergency was implemented in St James earlier this year. But in a press release on Thursday, Bartlett said the figures of the new record, come on the heels of last year’s record growth in arrivals which eclipsed the total increase of the previous four years, 2012-2015 with total arrivals of approximately 4.3 million and foreign exchange earnings reaching approximately US$3 billion. “These increased figures are as a result of a dynamic and multifaceted stakeholder engagement campaign cutting across our main markets - the U.S, Canada and Europe - by our team and our first-rate partners in the private sector. We have over the last several months and weeks before and after the implementation of enhanced security measures in St. James met with major industry players to reassure the world that Jamaica is open for business and is a first-class destination”. “This continued growth in arrivals also indicates that we are well on our way of surpassing our 5 million annual visitor arrivals target before 2021 under my ‘5x5x5’ growth strategy. 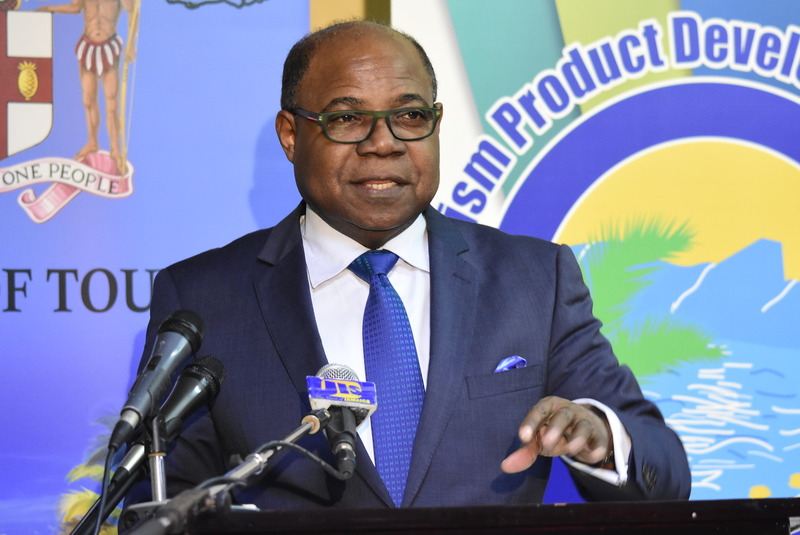 The consistent increase in arrivals is also proof that our tourism product remains robust and highly sought after by tourists’ worldwide.” said Bartlett. The ministry intends to transform the island’s tourism sector and has implemented a ‘5x5x5’ growth plan to attract five million visitors by 2021; generate US$5 billion in tourism earnings, increase the total direct jobs to 125,000 and add 15,000 new hotel rooms. Senior Advisor/Strategist, Delano Seiveright noted that the dynamic and multifaceted stakeholder engagement campaign continues later this month with visits to several key South American markets including Argentina, Chile, Peru and Colombia. “No stone is being left unturned in our team’s zeal to achieve our targets. Stopover arrivals from Latin America grew by over 16 percent last year alone and much more growth is in the works. Minister Bartlett, Director of Tourism, Donovan White and other team members will be meeting with executives of the two of the continent’s largest airlines and several key industry stakeholders as we aggressively build out this vast market” he said.